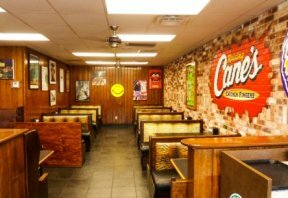 Renowned as one of the “Best Companies To Work For” in communities across the country, Raising Cane’s Chicken Fingers is always on the lookout for talented individuals to help foster its most coveted qualities: a cool culture, fast and friendly service and an all-embracing commitment to community involvement. With its first two restaurants in the Chicago area rapidly nearing completion, the popular Louisiana-based brand is seeking candidates for more than 80 positions at each location. 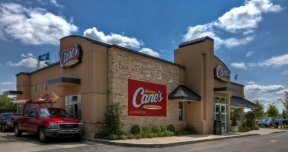 Raising Cane’s will make its Chicagoland debut on January 31st at 2514 Harlem Ave. in North Riverside. It will be followed on February 14th with a second restaurant at 11006 South Cicero Ave. in Oak Lawn. Interested crewmember candidates are encouraged to apply online at raisingcanesjobs.com (search for North Riverside and/or Oak Lawn) or stop by either restaurant between 9 a.m. and 5 p.m. Hourly wages are competitive and based on experience. Founded by Todd Graves in 1996 and named for his yellow Labrador, Raising Cane, the rapidly growing company recently earned the distinction of being among the Top 10 quick service restaurant chains in the nation for 2015, according to the authoritative Sandelman & Associates Quick-Track study, based on food quality, customer service, cleanliness and other important factors.